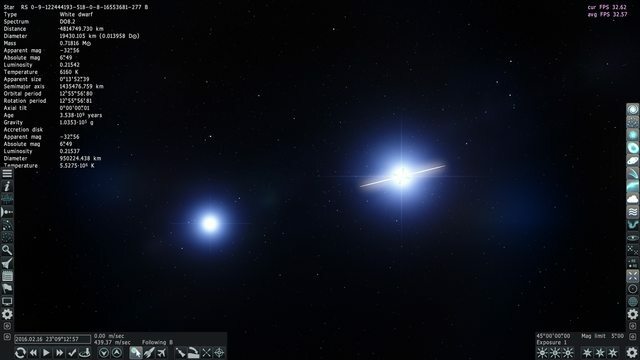 First off is this planet for which a blue star about 4.4 ly away is the brightest object in the sky (-12.27), even brighter than its own three suns combined (-11.84). 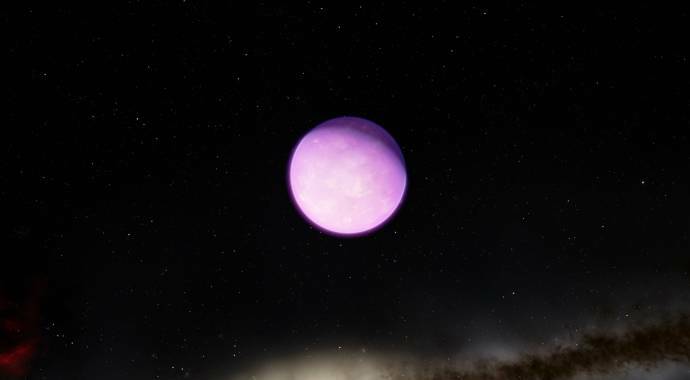 Next up is this planet, which orbits a brown dwarf that does not emit any visible light. 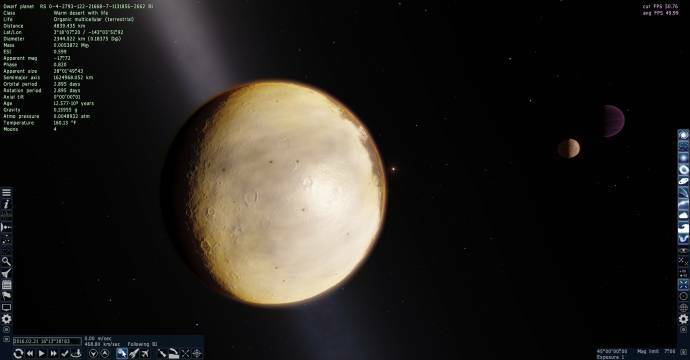 Instead the planet gets all of its light from the brown dwarf's companion yellow dwarf. Somehow it has life. 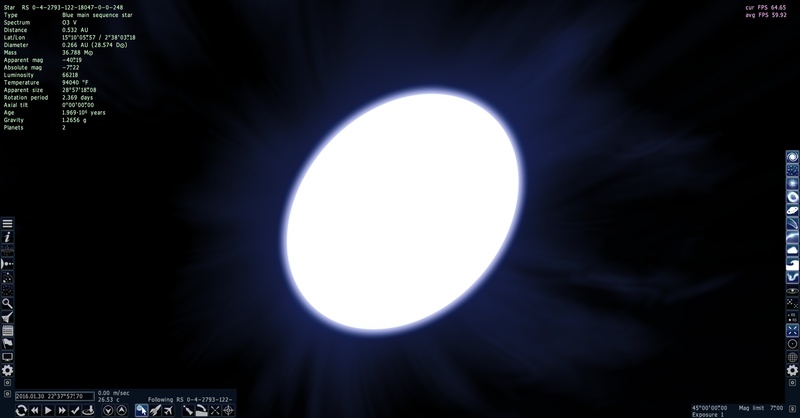 Finally there is this star, which spins so fast that its equatorial gravity is negative. Wouldn't the gasses at the equator get flung away from it? And this planet here has a very interesting situation going on with its large, but light moon: due to tidal heating, it has a surface temperature over 1000K, giving it glowing red clouds which combined with its reflected light provides so much planetshine that, with the planet tidally locked to it, one side of the planet almost never actually experiences night - rather a "normal day" when the sun illuminates it and a "red day" when the moon illuminates it almost as brightly. When the moon is new (and particularly during solar eclipses), the entire day side of the planet gets tinted bright red. 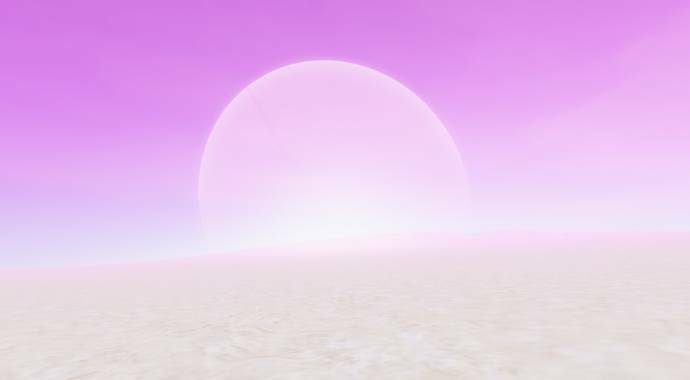 Because I though the universe wouldn't get any weirder, I decided to take a trip to the Kepler-296 binary star system. 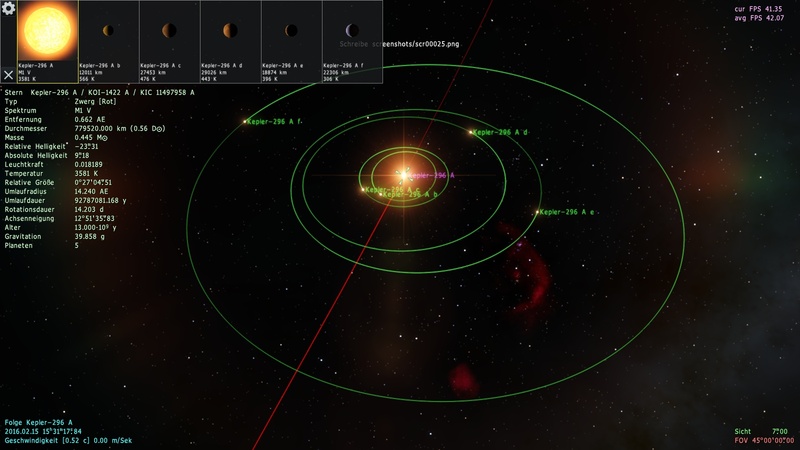 I was playing 0.9.7.3, and I found 6 planets orbiting the stars' BARYCENTER, NOT THE STARS. One of them was a FROZEN TERRA. I saw them, and was like, "I'm done." The planets orbiting the barycenter aren't weird at all, it's a mundanely regular occurrence in the real universe. The frozen terra, on the other hand, is an anomaly, and might actually be a bug. In fact, it is an error which is caused by an overlap of old and new catalog files. 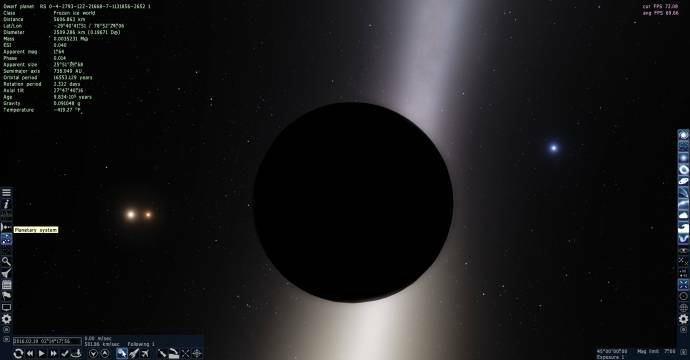 In the Archive file 'CatalogsSE.pak' there is a file 'ExoPlanets-unconfirmed.sc'. This still comes from SE 0.972. 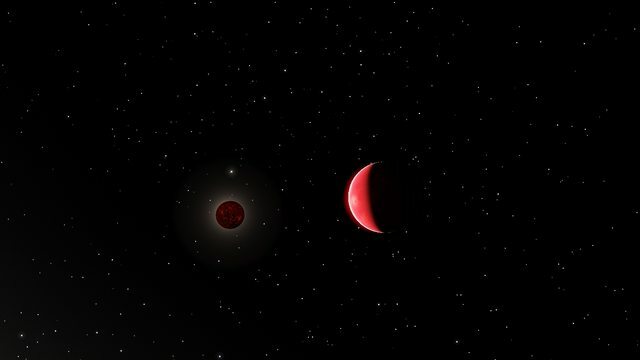 There the 5 planets of Kepler-296/KOI-1422 were listed as unconfirmed. With SE 0.973 the planets have been included in the official 'ExoPlanets.sc'. If you go to Kepler-296 A, you can see the planets appear there again. The planets orbiting the barycenter aren't weird at all, it's a mundanely regular occurrence in the real universe. 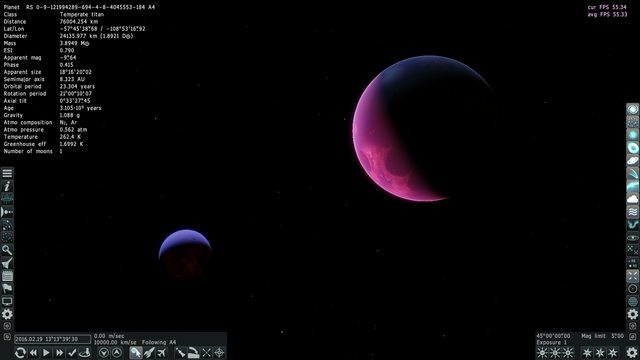 I am not sure if planets can actually orbit the barycenter between two stars in this way. 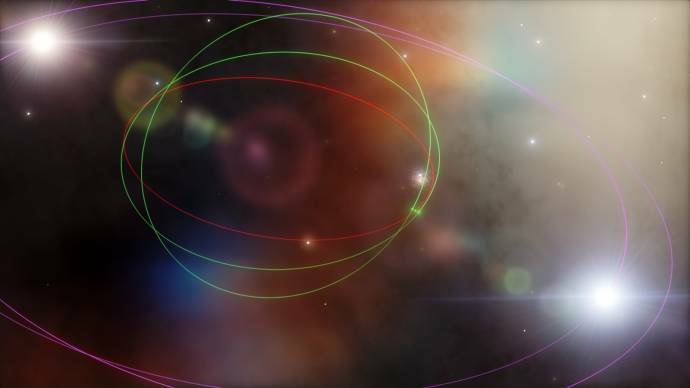 I imagine that such orbits would be very unstable. But I would be pleased if that were indeed possible. One of my handmade systems is constructed in this way. This is my attempt to recreate the system from the film Pitch Black. CO2 H2O atmospheres are common in SpaceEngine, especially with deserts. Carbon dioxide and water vapor are common compounds in the universe. Got some anomalous green moon.